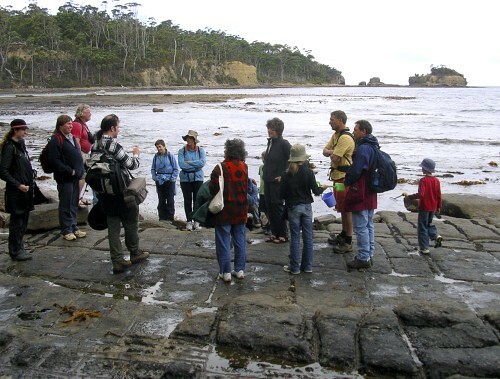 Trip leader Kevin Bonham addressing our group at the Tessellated Pavement at the start of the excursion, with Clydes Island, our destination, in the background. 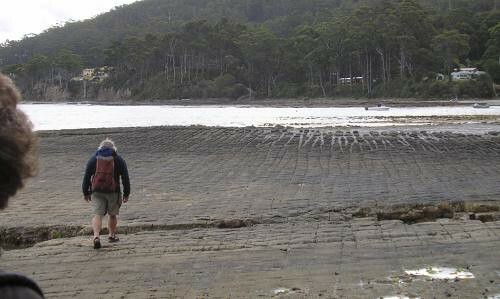 The tessellated pavement was created by erosion of ancient Permian sedimentary formations over the past few thousand years. 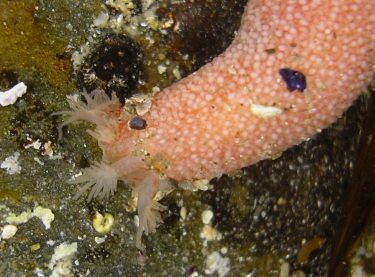 A well disguised Decorator crab, Naxia sp., possibly tumida. 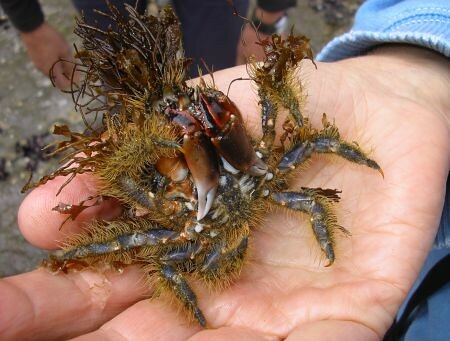 Note the hairs into which the crab weaves its camouflage of seaweed. 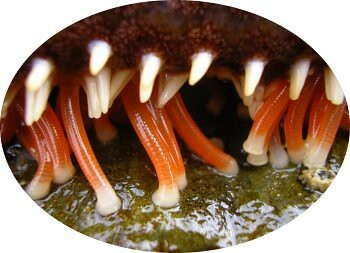 A large starfish, and a close-up of 'teeth' under its arms, and a myriad of very powerful mobile and elastic suckers. 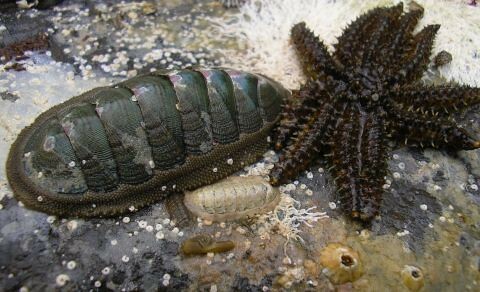 Ischnochiton australis (Australian chiton) about 70mm long, next to a small Coscinasterias sp. 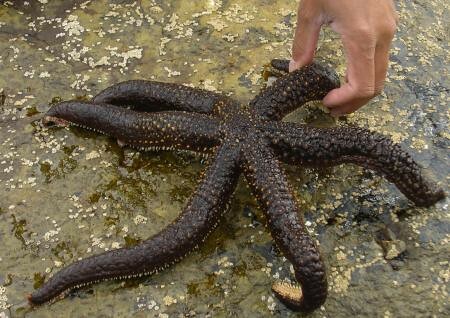 ( Eleven-armed seastar). 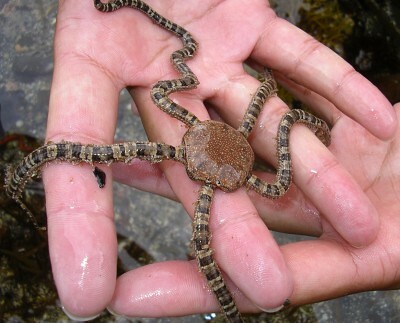 A beautiful Ophionereis schayeri (brittle star) found under rocks in a pool near Clydes Island. 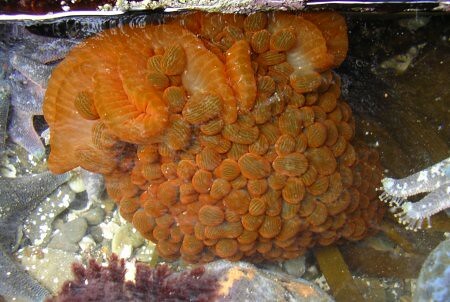 The bizarre Phlyctenactis tuberculosa, (a free-swimming anemone, in a rock pool near Clydes Island. 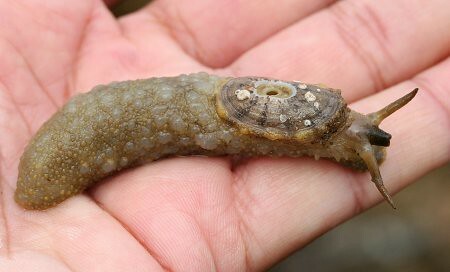 Head end of Chiridota gigas sea cucumber in a rock pool. 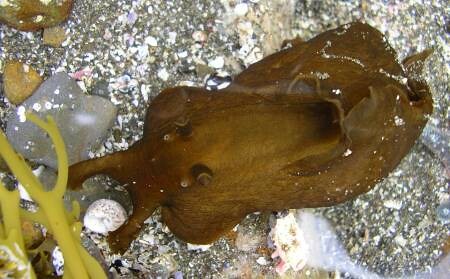 A curious Scutus antipodes (elephant snail) out of the water. 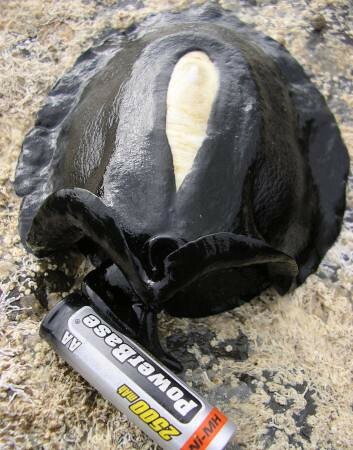 No, it didn't eat the battery. 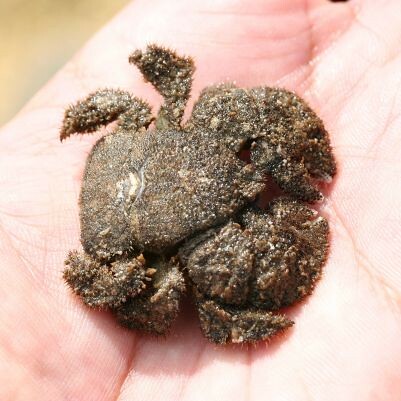 Lomis hirta (hairy stone crab) found under rocks. 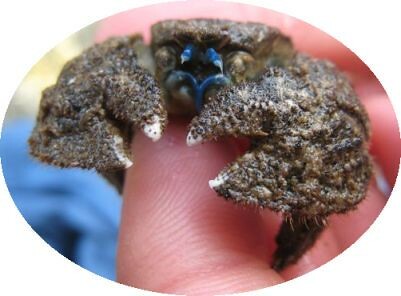 Stone crabs have one fewer pair of legs than ordinary crabs. 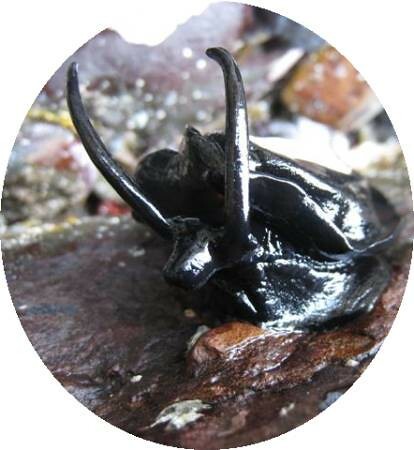 Note the bright blue antennae & mouthparts. 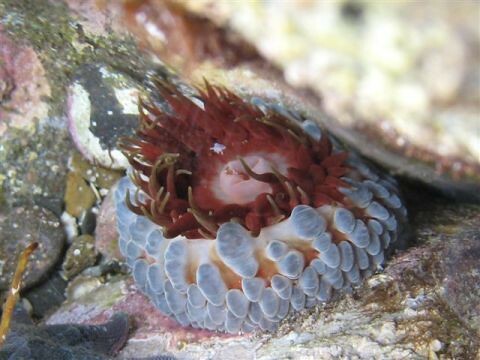 The rather pretty Phlyctenanthus australis sessile sea anemone in a rock pool. 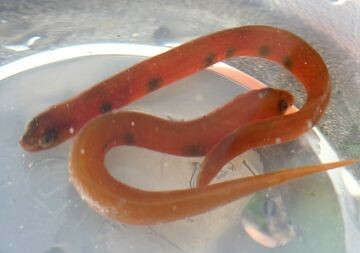 We found quite a few of these Alabes dorsalis (Common shore-eel) in shallow pools. 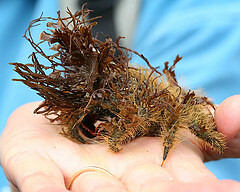 Although very eel like this is in fact a relative of the goby. Click to see more of James' flickr photos.